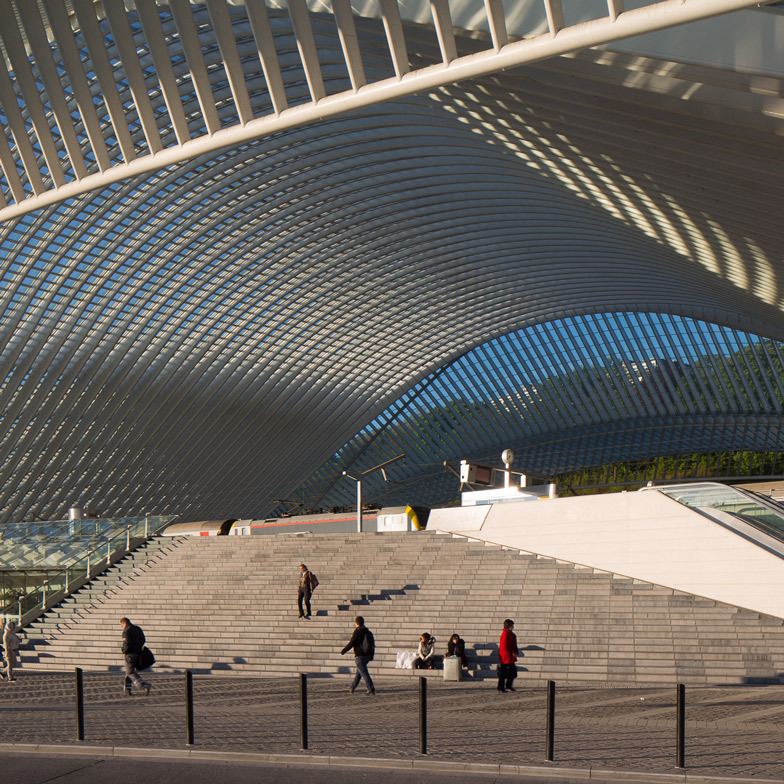 British photographer Luke Hayes has created a new series of images documenting Santiago Calatrava's train station in the Belgian city of Liège, which has now been in use for nearly five years (+ slideshow). 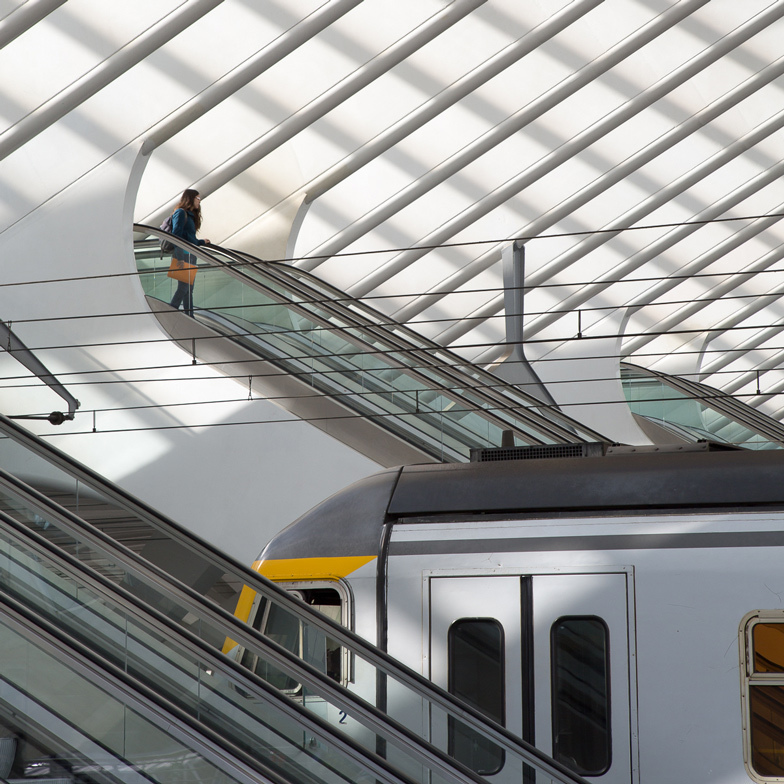 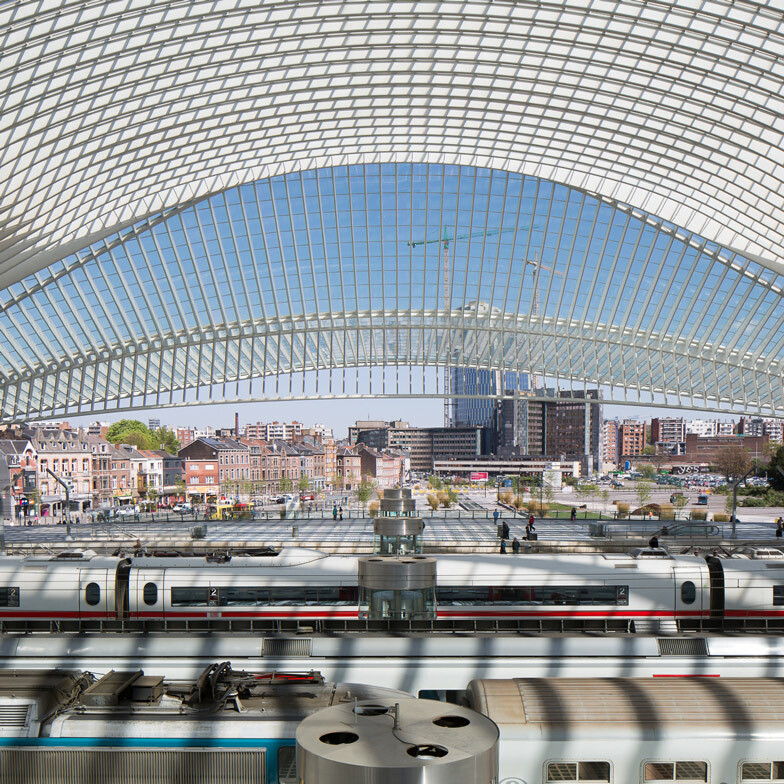 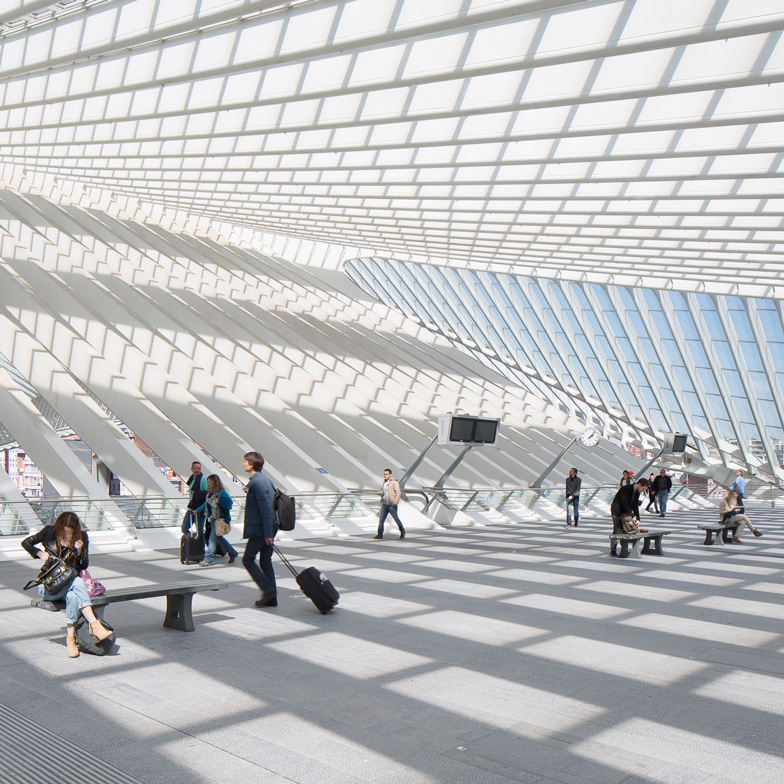 As one of three Belgian stations on the high-speed rail network, Liège-Guillemins Station is used by over 15,000 passengers every day and accommodates five platforms beneath its vaulted glass and steel roof. 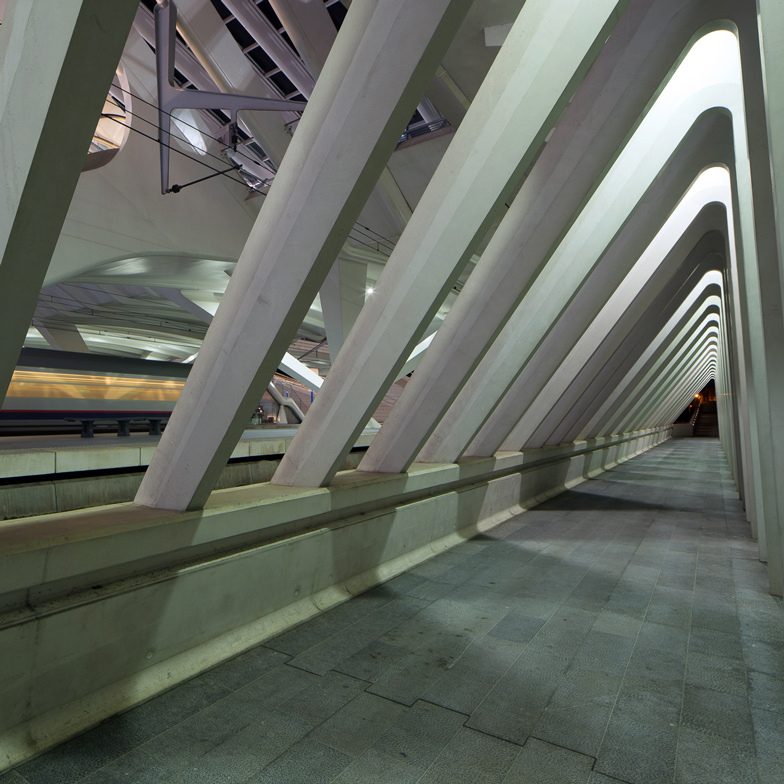 Spanish architect Santiago Calatrava conceived the building as a structure without facades. 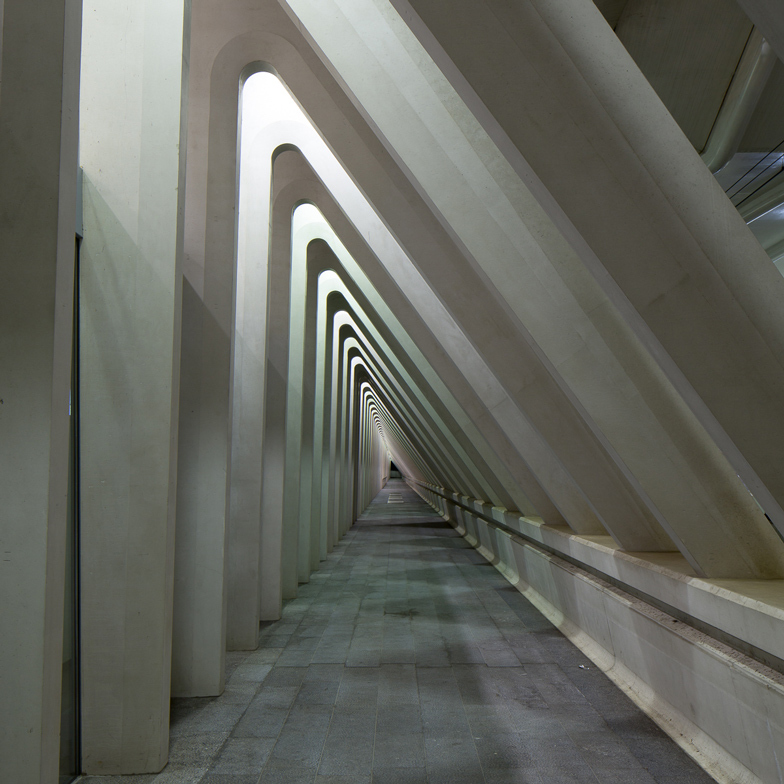 Pedestrian routes run underneath the building, improving connections between parts of the city previously divided by railway tracks. 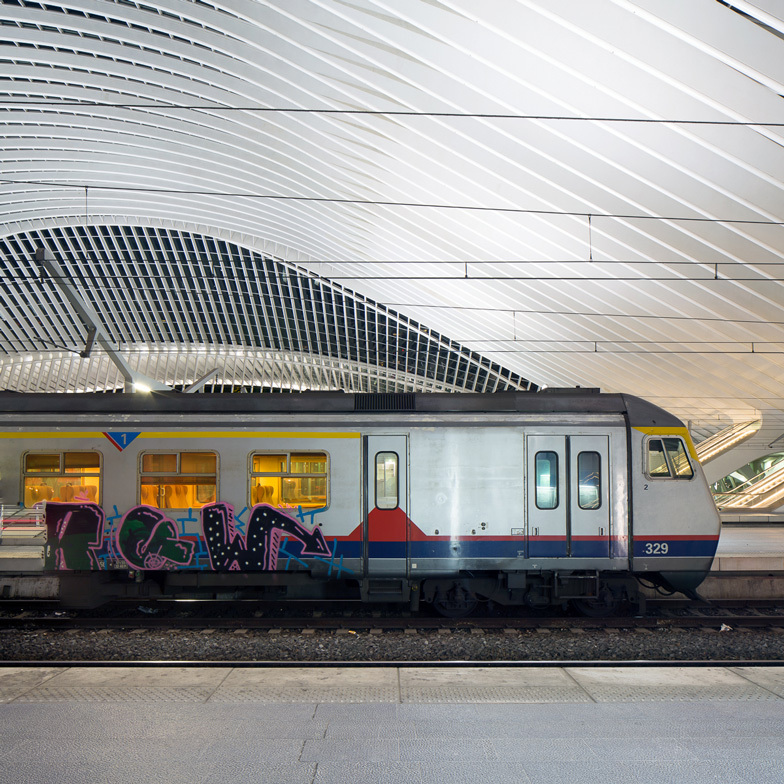 "I haven’t visited Liege before and this was a breathtaking way to arrive in the city," explained Luke Hayes. 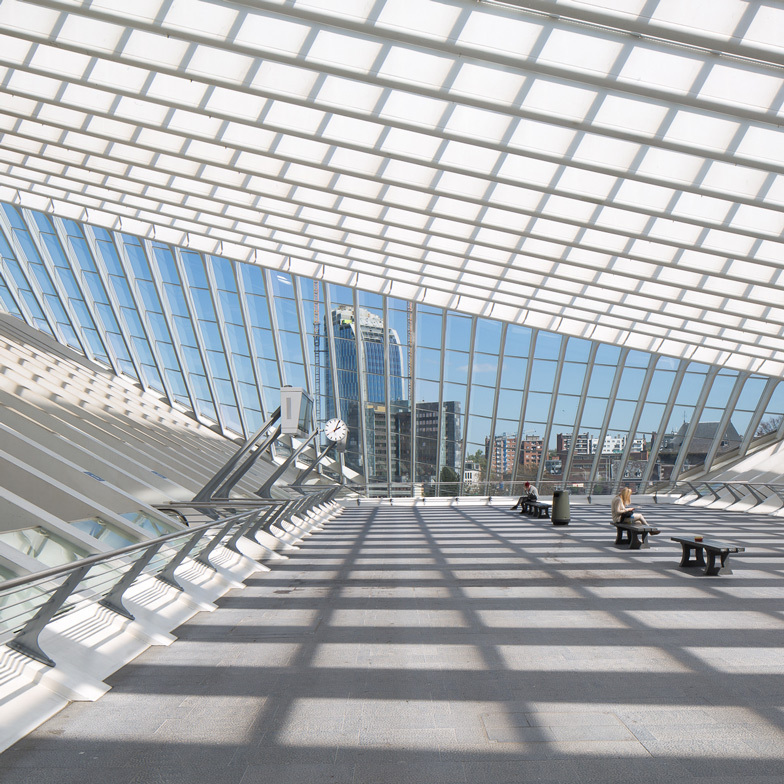 "The structure is vast and cathedral-like – a typical Calatrava design." 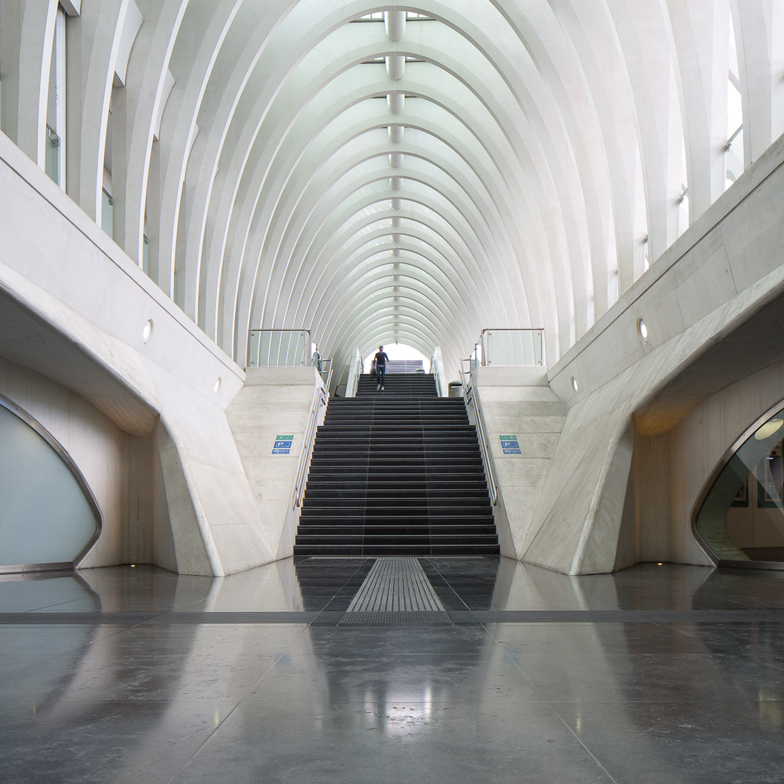 "One of the best things about this shoot was the freedom I felt to move around the building," he added. 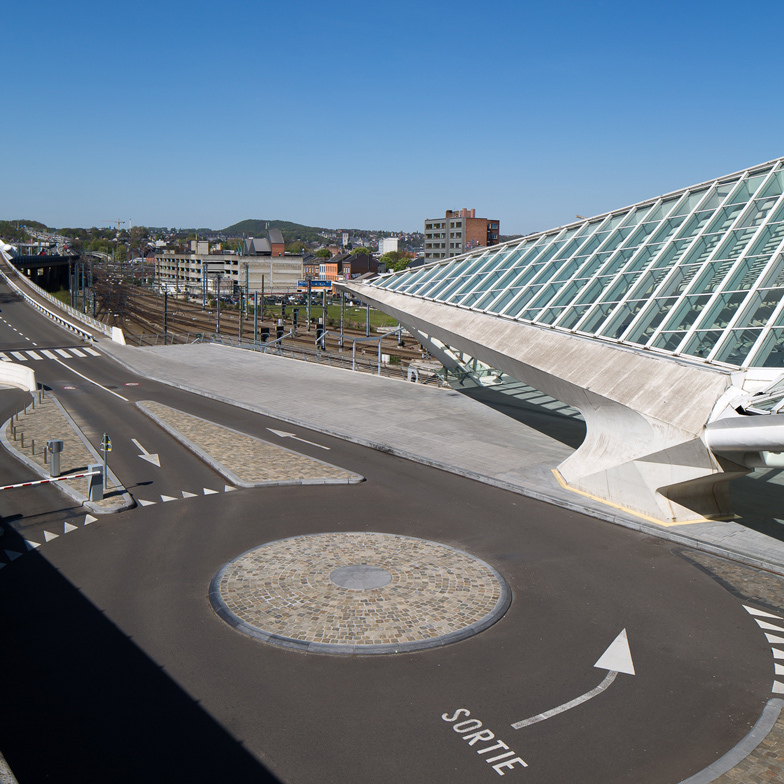 "It's a great example of a public space. 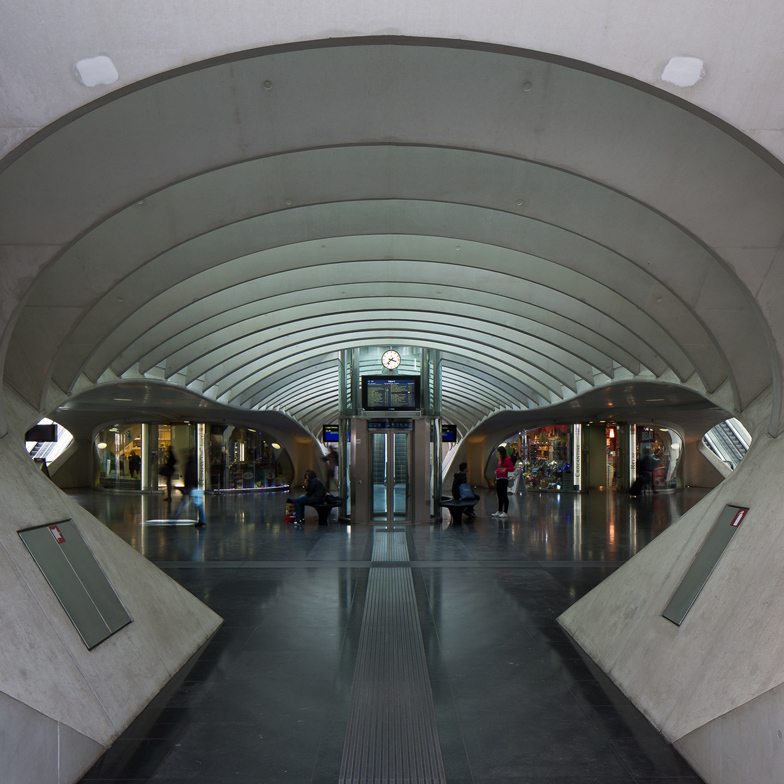 I don't think I saw any ticket barriers; people can pass through and use all the facilities." 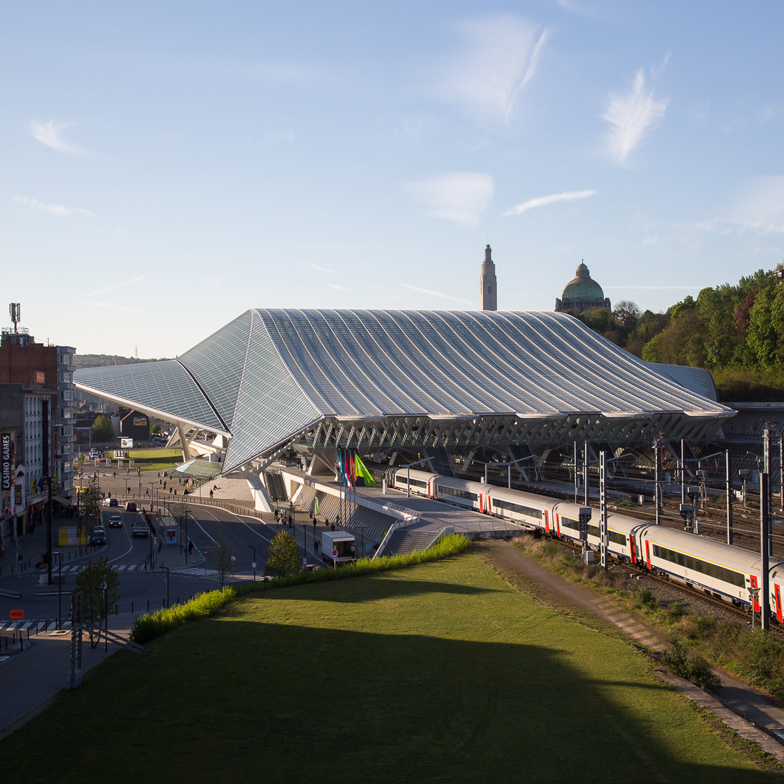 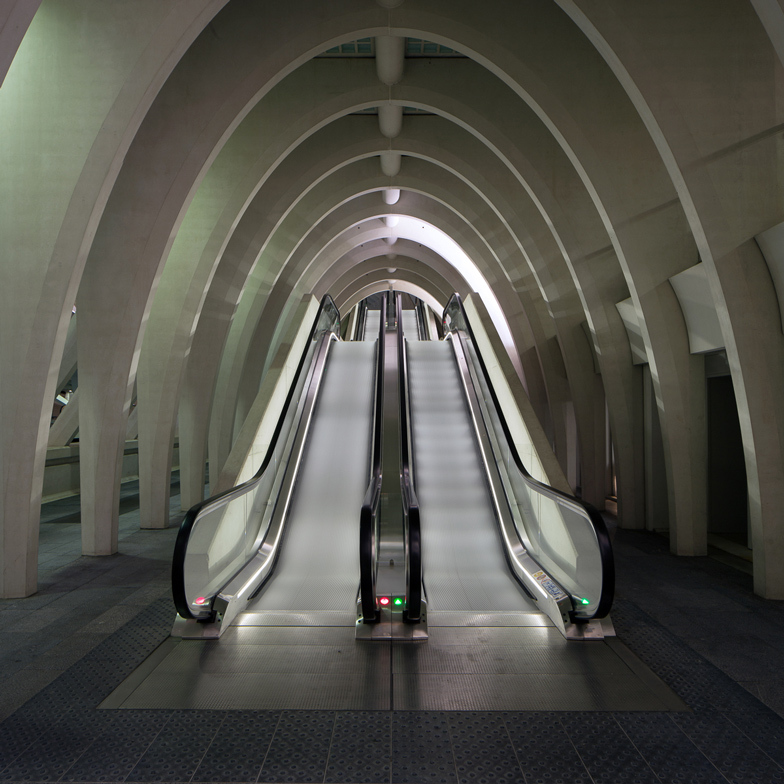 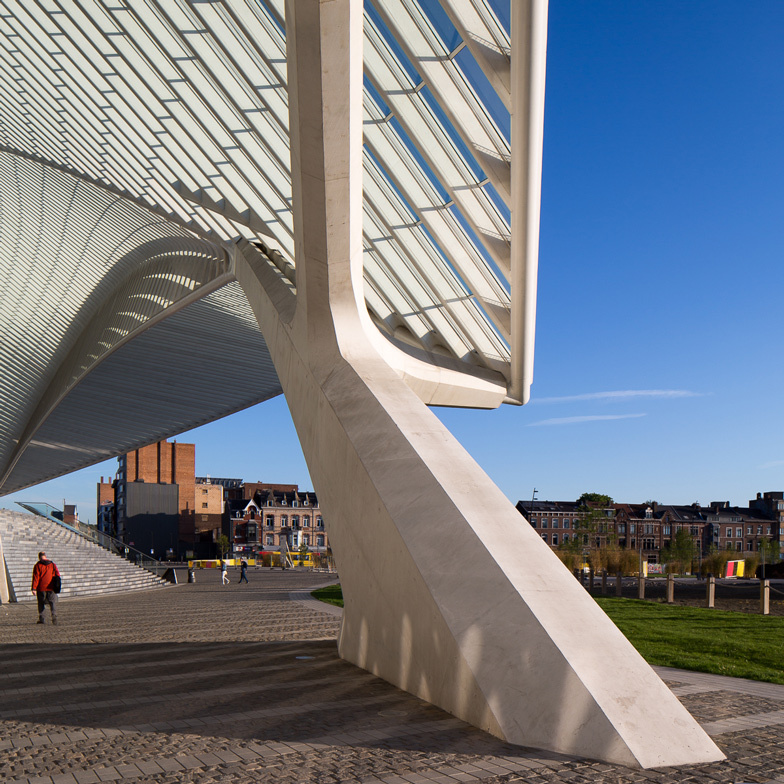 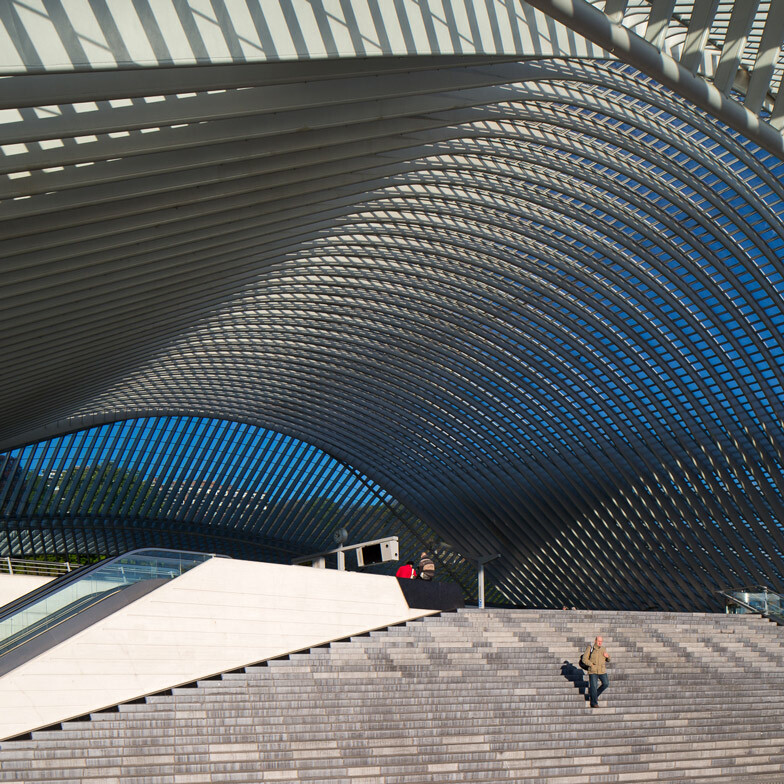 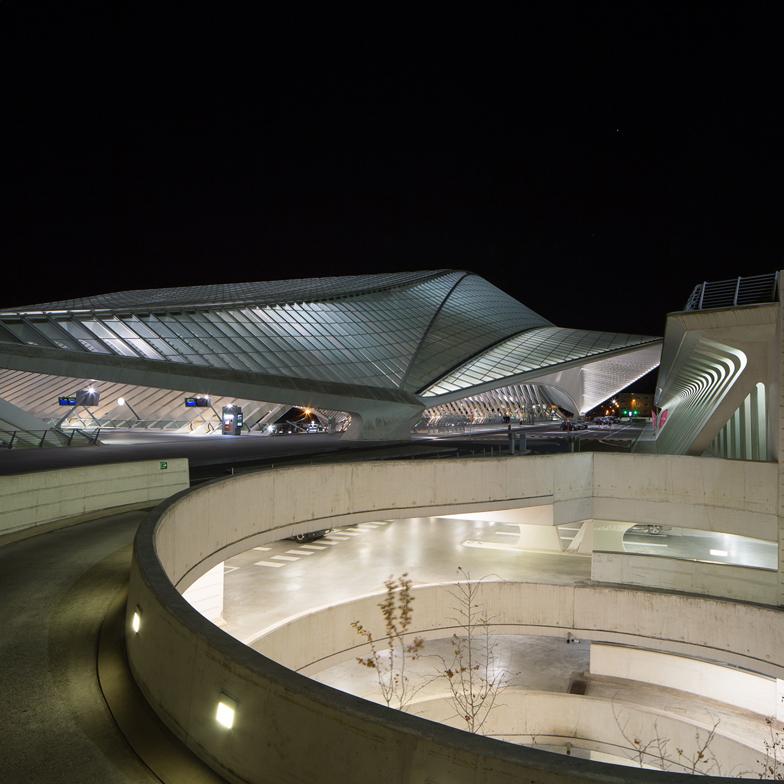 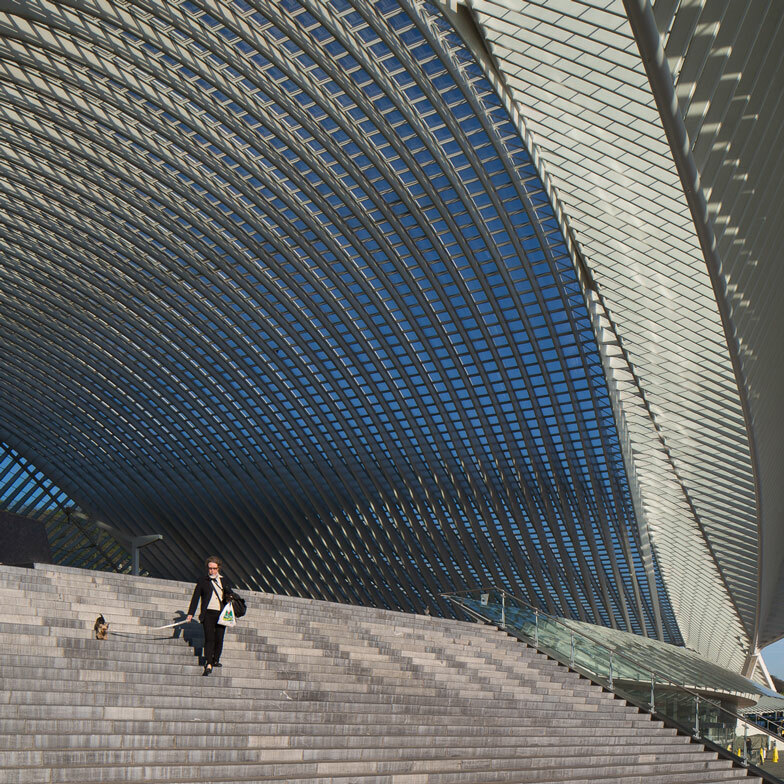 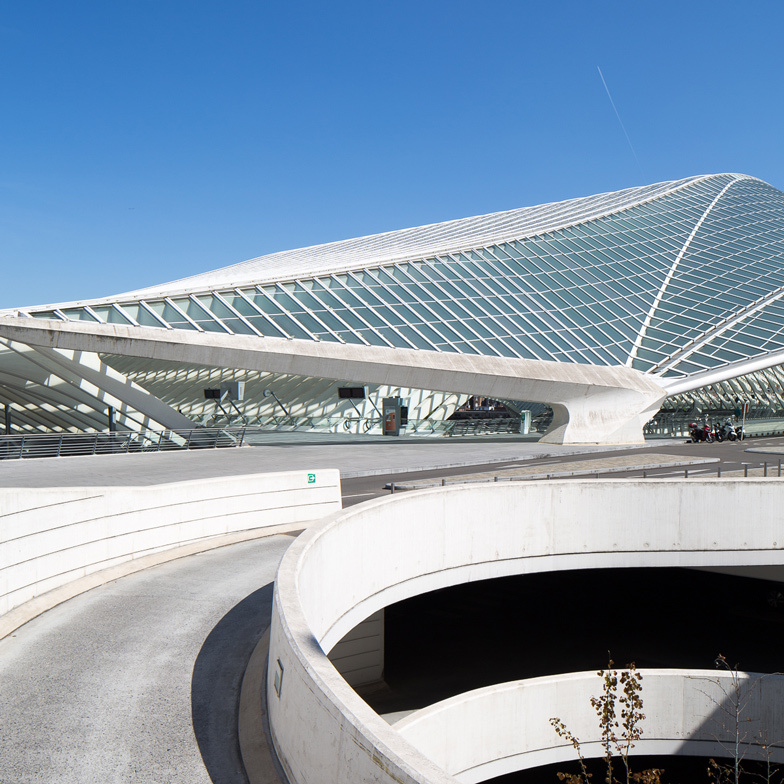 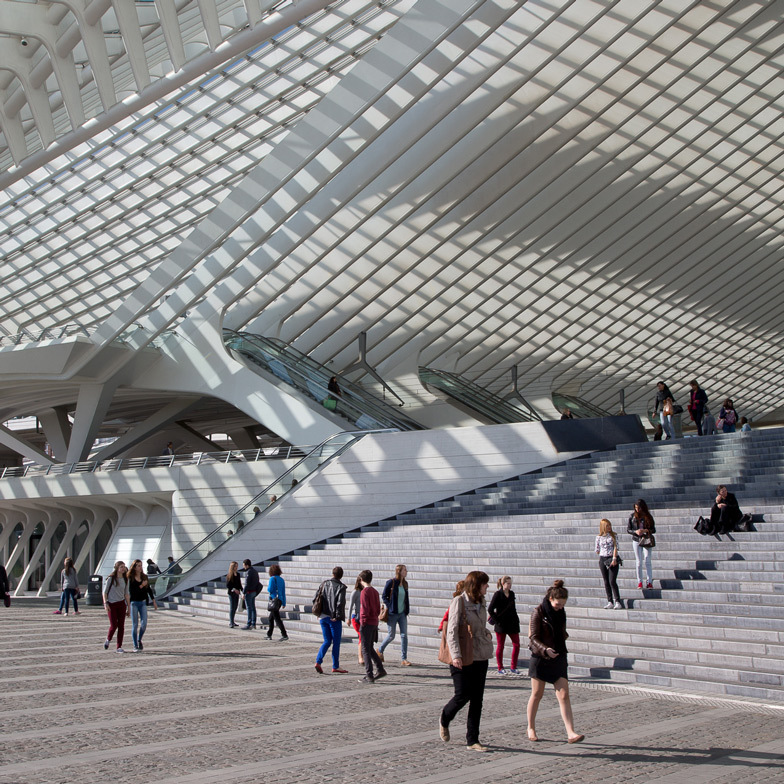 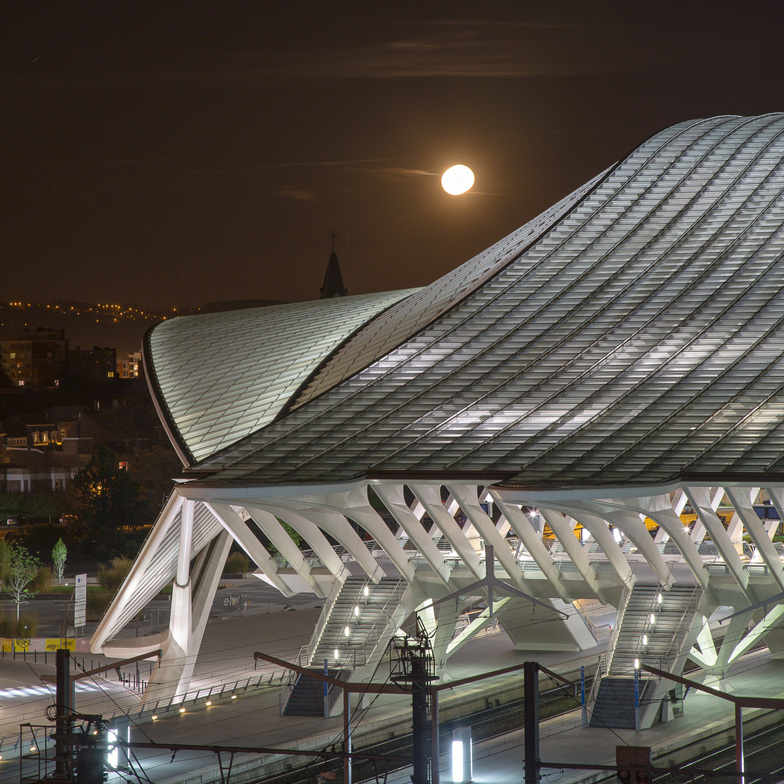 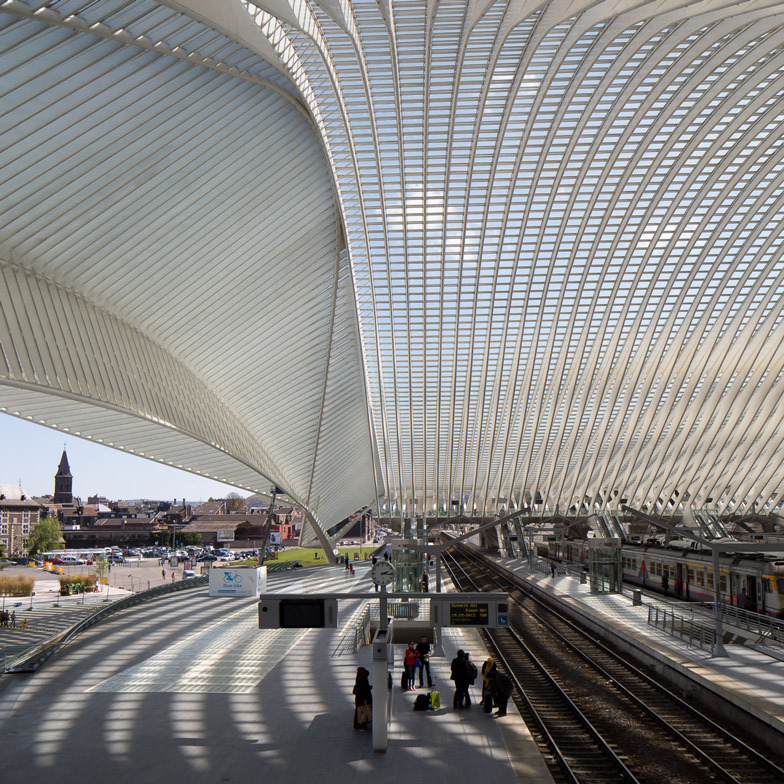 See more images of Liège-Guillemins Station in the original Dezeen story.